So you took the classes, spruced up your resume, and finally perfected your elevator pitch. Now what? How can you take the skills you have learned and put them into practice? What else can you do to help you further your career? The answer is simple: network. By networking and socializing, you are putting your name and face out into the workforce and building connections that can help you get to where you want. You may be able to secure an interview or learn of an internship that you would not have previously known about. Not only that, but you can also help others in their own career endeavors. By attending events that are of interest to you, your chances of finding another individual with similar goals or helpful information are higher. You will be able to speak on topics that both of you can identify with, which can more easily contribute to building a relationship. The best way to get better at anything is to practice. If your skills are a little rusty, it is important to socialize often in order to build upon them! If you continually are second-guessing yourself and putting yourself down mentally, chances are that other people can see your lack of confidence. By practicing positive thinking, you can habitually change the way you approach socializing. Networking doesn’t have to be stiff and impersonal! It is perfectly fine to crack jokes and have fun with the people you are meeting. Allowing your personality to shine through is a great way to make yourself memorable. Just as important as the socializing itself is the follow-up. Maintaining your relationships is crucial to having people remember you. This part doesn’t have to be intimidating either! Giving them your business card is a great start, but you can also follow-up with a friendly email every now and then to catch up. Social media sites such are Linkedin or Twitter are also a great way to connect and keep up with the people that you meet, as you can both easily view and share your accomplishments and endeavors. With that, it should also be stated that networking goes both ways. A good networker offers their help to others and takes a genuine interest in their relationships. Your help to others may be a useful contact, advice on a project, or maybe even something pertaining to their personal life. As the Golden Rule says: do unto others as you would have them do unto you. With the right mindset, networking is not as intimidating as it might initially seem. You probably are already forming meaningful and impactful relationships in your personal life, now it is time to form them within your professional circles. So, you want to work in Public Relations, after graduation? If you are interested in this type of industry, you will need to have excellent written and verbal communication skills, as well as be proficient in people skills. Public Relations is “the profession or practice of creating and maintaining goodwill of an organization’s various publics, usually through publicity and other unpaid forms of communication” (Business Dictionary). If you have often been left wondering what specific job you can obtain within this field, have no fear! The job opportunities are endless. One area of PR worth considering is working in non-profit. Non-profit companies benefit from PR in the sense that they need the publicity to help raise awareness for an organization, share a cause, or help to promote an event of interest. While the downfall may be that they don’t pay as well as other areas of PR, they are great jobs to consider if you feel passionate about an organization that you want to get behind. As Brianna Whiting describes, from an online study group on Public Relations and the Non-Profit Sector, non-profit organizations “are those organizations that are tax exempt and rely heavily on donations to keep operating. They often use effective communication, stories, spokespersons, and social media as public relations methods to promote their cause.” The great thing about working for a non-profit is that it usually is a tight-knit organization focused on a larger area of value. Some examples include: The American Red Cross, Special Olympics, or various charities. If you feel strongly inclined to help other people and work for a company that speaks to you, you may want to look into working for a non-profit. Check out the link below to learn more about nonprofit PR. Another aspect of public relations is working within the digital field of social media, such as a social media coordinator or content creator. In this type of work, you would be responsible for planning, executing, and branding the social media for a company and increasing the company’s brand awareness for their media. Not only are you responsible for creating an appealing social media layout for the brand, but you would be responsible for making the media stand out, so as to increase a brand’s sales as well. It is also important that you have an understanding of how to use social media, such as: Facebook, Linkedin, Snapchat, and Instagram. While it pays to have a knack for social media, it is important to understand that so much more goes into being able to work in this type of field. You must have the passion and the drive, as well as organizational skills to help you stay on top of your work. Another avenue public relations is a part of is event planning management. One important thing to remember is that public relations is all about building relationships and creating a cohesive reputation for the client, and using those relationships to help create events for a group of people. While public relations within the event planning industry is a rewarding and tedious job, it is not the sole purpose of the job. If you are considering a job in event planning, you must be organized, detail-oriented, and create schedules and objectives. As an event planner in public relations, it is important that you understand the event as a whole (from beginning to end). You must be able to think creatively, as you will want to come up with ideas that are unique and that stand out. It is also important to remember that in event planning, the client is who you will report to the most. Building and maintaining a relationship with your client will keep them satisfied, and make sure you get the wages you deserve. While event planners and PR people sometimes collide, it is the PR people that need to make sure they are working alongside the event planners, so that they are able to give the media coverage on the event at hand. While there are a wide variety of jobs in public relations, non-profit jobs, social media coordinator, and event planning are just a few of the many jobs you can get into. Ultimately, it is up to you and your passions that will allow to you narrow down the job that is right for you. Just remember, do something that intrigues you, keep practicing your writing and communication skills, and never give up on your dreams! Public relations can be a rewarding and fulfilling job at the end of the day. If you want to know more about what public relations entails, don’t hesitate to come to a PRSSA panel. As a member, you will be able to network and build relationships with the panelists. Hi, could we get your name, age, and major? My name is Crystal Arellano, I am 21, and my major is Communications with an emphasis in PR. My favorite place to hang out is at the Chicano Resource Center, because I have a little family there in which I feel like I am a part of something. I feel comfortable doing homework there, or just relaxing and hanging out with friends. How long have you been a part of PRSSA and what made you decide to join? I have been in PRSSA for one semester. I wanted to join because it is definitely somewhere where you can network with any other PR majors and start to learn more about the field that you want to go into. So far I have really enjoyed the panels, because they are very informative and you get a more in-depth view of what it’s like to be in the business. Not only that, it’s been really helpful to receive tips on what you should be doing now to get to where you want to be. Which of the panels have been your favorite so far and why? The first panel, The ABCs of Lifestyle PR, has been my favorite so far. I think I enjoyed that one because we got to see four different speakers who were from completely different industries in PR, so I think it helped us decide what we were more interested in doing. What is one thing you look forward to in your career? I really enjoy writing, so I most look forward to exploring what my potential is within PR writing. What has PRSSA taught you that you can use in the PR industry? It had taught me that nothing that you are doing now is going to go to waste, because any work opportunity is going to be of value and help you in the future with whatever you decide to pursue. I am very interested in event planning, because it is one of the things I have had experience leading. I like being kept on my toes and working at a fast pace, along with being able to see the outcome of the work you put in. What did you like about this last panel? I liked that we got to see a different type of PR that we can pursue a career in. I feel like the guest speakers allowed us to see the worth in going into nonprofit work, and it was very inspiring to see the passion they have for their work. It opens up an interest for me within nonprofit PR. What would you say are the top three words to best describe you? Do you have a motto or personal mantra that you like to live by? Live today to the fullest, because tomorrow is not promised. The PRSA Certificate in the Principles of Public Relations is quickly becoming a fundamental necessity on PR resumes. This Certificate helps to differentiate college graduates from the others, thereby giving you that extra boost to stand out. The answer is: YES! But don’t just take my word for it, Grace Granados and Yvonne Luu have both studied hard and passed the test! What was it about the Certificate that first appealed to you? What was it exactly that encouraged you to take the exam? When Ken was talking about this exam in my capstone class, he frequently said, “This certificate will help you stand out from other PR students,” and that peaked my interest, as I was about to enter the sea of aspiring PR graduates looking for jobs. During my time at CSUF, I invested more time into my extra curriculars and my studies than I did in my career. I waited to find an internship until my senior year and once I saw other PRSSA students talking about how many internships they’d had through college, I already felt behind. So once Ken brought up this exam, I figured that although this wouldn’t make up for my lack of experience, it would boost my resume and give me more confidence when applying for jobs. And it lets me and employers know that I, in fact, know what it means to have a career in public relations. I was honestly hesitating when I first heard about the certificate from Professor Hagihara, mostly because it was the first time CSUF was offering the program, and there weren’t many people to personally vouch for it. But to know that this certificate can genuinely help you stand out among the competition—especially considering how only a handful of California colleges or universities have participated so far, I wanted to take advantage of this limited opportunity. Although there was little information surrounding the process available, I knew it would be a worthy investment for my career now and in the long run. I wanted to take initiative of ensuring I was doing what I could to be prepared for the “real world” after graduation. What are some of the benefits of having this Certificate? In class, Ken kept pushing that it would make us [PR majors] more marketable to future employers. Feeling as behind as I did when I graduated, I now feel more confident applying to PR jobs, because I feel like this certificate validated that I actually know what I learned in school. I already added this certificate to my resume and applied to a handful of jobs at the end of last week, so we’ll see what kind of doors this opens for me. Being able to add this certification to your resume and stand out among your peers, particularly while fresh out of college, is a big benefit of receiving the certification. But to me, the most rewarding benefit is the confidence you’ll find yourself having upon passing the exam, because it validates your knowledge of public relations principles not only to potential employers, but especially to yourself. For the 2018 PRSSA National Conference to Austin, Texas we had CSUF member Eric Peterson and Tania Aureoles give us some information on the experiences they had and their favorite part of visiting Austin. What was your favorite panel and why? My favorite panel was about personal branding, called “CEO of You 2.0 – Analyzing Your Digital Brand for Future Success.” The speaker, Jason Mollica, from American University explained that it is okay for you to have interests and for them to be evident on your social media channels, because it makes you seem more human, and potential employers want to hire real people, not robots. Having interests outside of work related things is normal and healthy. What was one memorable quote from that panel? What schools did you meet? Texas, the University of Hawaii at Manoa, University of Tennessee, Purdue, Arizona State University, Biola University, Chapman, Brigham Young University. What was the culture like? This year’s National Conference ended up being the same weekend as the big music festival, Austin City Lights. So there was an element of excitement in the air itself. Anytime we left the hotel (which we mostly did for food) there were people in the streets, some dressed up so they could go to concerts and cowboy boots were everywhere too. We explored 6th street and Congress street, found the Museum of the Weird, The Jackalope Dive Bar, and the Bat Bar, we sang karaoke and played pool, met new people, and networked extensively. It was a bit hotter than home and certainly more humid, It even rained while the sun was shining which was a strange experience to be sure for this California Boy. 6th street, Museum of the Weird, Voodoo donuts and congress street were all interesting places that were close to the Hilton Hotel where we stayed. Austin City Limits brought in tourists from around the country and they were out in force at all hours of the day and night. So the people watching on 6th Street was great. I was really bummed I had to cut my trip short because the largest bat colony in North America with over 1.5 million bats is in Austin and I wanted to go see the bats fly out from under the bridges. What is something valuable you took from attending National Conference? What was your favorite panel and valuable quote? Be an Expert – Do research on your industry of choice! Find a mentor and a sponsor. A mentor will advise you, guide you, and counsel you. A sponsor will help you on your path to move in the direction you want to go in. What was the Gala like? The Gala was a really nice experience. They had a great dinner following the opening awards ceremony. It was a great opportunity to celebrate all of the hard work and achievements of the winning PRSSA members. What did you gain from this experience? National Conference 2019 will be in San Diego, California held by your very own CSUF PRSSA! So make sure to start saving up now for the amazing opportunity to connect with other Chapters and make valuable connections with professionals. For those of you returning, welcome back! So you’ve joined PRSSA, now you’re probably wondering what happens from here. Well that’s what we’re here to help you with! When I joined PRSSA as a transfer student, I was lost, confused and slightly panicking. It’s hard to be a transfer student and suddenly feel like you’re behind everyone else. I went to the Kick-Off event and made a single friend who later that night introduced me to some of the Executive Board members. I learned more about the types of committees and the benefits of joining one. This excited me and encouraged me to get involved! So I joined the Outreach committee! This committee had challenged me in so many ways. I had to meet new people and learn how to maintain conversations with people I didn’t even know. Daily email checks, classroom pitching, and tabling events became second nature to me. It was hard work, but I loved every second of it. If you’re a bit unsure about joining a committee, think of it this way. Being on a committee can eventually lead to you taking that position over one day. Your future employer is going to see this on your resume and might even choose you over that other person who didn’t get involved at all. Another recommendation: go to every event/panel you can! Not only do you get to hear from the professionals, you get to connect with them and other members. Trust me on this – connect and build relationships with these members. You never know when you’ll need some advice or even a helping hand when it comes to job options. So get involved as soon as possible; don’t be afraid to put yourself out there! And the most important advice I can give you: have fun! https://csufprssa.org/wp-content/uploads/2017/12/Avatar-300x300.png 0 0 csufprssa https://csufprssa.org/wp-content/uploads/2017/12/Avatar-300x300.png csufprssa2018-09-15 21:34:342018-10-07 11:03:10Welcome to PRSSA! Congratulations! 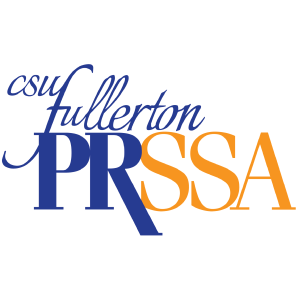 You’re on your way to Next Generation PR at California State University, Fullerton! Now comes the hard part; packing. If you’re anything like me, you’ll need a solid list of things to pack before you travel. Here are 5 things you must pack for your California weekend getaway! The first things I always make sure to pack are the essentials. The absolute worst thing is to show up and realize you’ve forgotten deodorant. First things that go in are any toiletries, medicine, phone/laptop chargers, contact solution, etc. SoCal is expecting lovely weather over this weekend, mid 70’s and sunny! Let’s be honest, a PRSSA Conference means live Twitter updates! You don’t want to leave your followers without knowing about the awesome lunch you just had, so don’t forget a portable charger! Google maps is also a battery drainer, and if you want to #ExploreSoCal with us, you’ll need that bad boy. If you don’t have a portable charger, I highly recommend this one. #NotSpons, I just really love this charger. It saved my life at National Conference in Boston! We’re here to network! Business cards are the perfect way to stay in touch with other PRSSA members and professionals that you meet. Make sure you’ve got plenty to spare; it’s better to have extras than to run out early on! As many professionals will tell you, first impressions are key. Part of that first impression is what you are wearing! Make sure you look the part, both for tours on Friday and a full day of panels on Saturday. Make sure you are prepared for a good amount of walking as well, so comfortable and cute shoes are a must. Here in Southern California, we rarely go out without grabbing our sunglasses or a hat. If you’re heading to the beach, the city, or just to In-N-Out, you want to make sure to protect your eyes and head. It’s going to be rather warm when you get here, so bring your own shade and pack a trendy dad hat. You’ll need them if you’re joining us for Disney Day! Plus, you’ll be ready for that SoCal aesthetic for all your Instagram posts! With these 5 things, you’re ready to go! Time to get packed and ready to fly to California. We can’t wait to see you at Next Generation PR! As a senior set to graduate in the spring, I have been seizing every opportunity PRSSA has been offering. When I received the email about the Global Results Communications Agency Boot Camp last Fall, I knew I HAD to go. Not just because it would be good experience, but because it made me uncomfortable. Global Results Communications is a leading international tech firm, with clients such as Verizon, Nuance, and Epson (yes, the projectors we all remember from class). Their clients are huge, groundbreaking, and all over the world. My eyes practically bulged when I learned that we would be crafting a PR campaign for one of GRC’s current clients, and we would present the plan to be evaluated by the staff. I knew nothing about technology, and all my PR campaigns have been pitched in the comfort of student groups. To have a real PR pro evaluate the ideas I’ve come up with in less than an hour? The thought terrified me. Which is exactly why it took me 0.2 seconds to register for the boot camp. On a Friday morning I drove to Santa Ana, mildly-sleepy, mildly-anxious, and mildly hoping that no one noticed my shirt crease that happened during the car ride. A group of about 20 CSUF PRSSA members met outside the building, and we all crammed into an elevator to take us to the suite. We sat at a long table and Global Results Managing Director Lora Wilson greeted us. Lora has had a long career in PR, who excels in media relations, strategies, social media, and all aspects of public relations. She was the very definition of a pro, and every few minutes my mind kept wandering back to that PR plan that would soon be happening. After being provided a background on the agency, their services, and clients, Lora brought in 5 entry-level account associates, with one of the associates a recent CSUF graduate, who was brought in for an internship position and hired on as full-time a month later. It was refreshing to see these young faces, people just like us who can remember the stresses of school in the modern age, offering their advice and insight. For a full-hour hands were continuously raised as they took our questions, with each associate pitching in and building off each other’s comments and stories. These were the real questions we wanted answered, and there was not that usual hesitancy from students that can be evident around long-time industry pros. We unabashedly, and maybe even a little desperately, asked them what we wanted to know. They talked about the application process, internships, transitioning from school to career, and their day-to-day responsibilities. These were speakers that I wasn’t thinking “Well, okay, I guess hopefully me in 15 years”, but instead “this can be me in one year, maybe even less”. They made life after college seem possible and doable. To hear from young PR pros that it will get better, that you can land a job, eased a massive weight the size of Jupiter off my shoulders. We broke for lunch and then came back to the PR campaign, in which we would be crafting a year-long campaign for Wahoo’s Fish Tacos 30th anniversary. Wahoo’s has a variety of esteemed connections, such as Tony Hawk and Ryan Sheckler at our disposal. We were provided Wahoo’s key messages, objectives, resources, and challenges. We had one hour to work within our team of 5, with the threat of having to present in front of the staff looming over us. The clock was ticking, and we were scribbling down, drawing arrows to connect previous thoughts, and frantically adding in last minute ideas. It was finally time for the groups to present, and I was excited and nervous to show the group what we came up. All of the teams had similar ideas, playing off the same themes and we all brought something a little different to the table. I was half expecting a Miranda Priestly like tear-down of our plan, but instead Lora and the other VP’s were incredibly kind, praising our creativity and offering advice in the most constructive way possible. They brought up that all of our ideas intertwined with each other, and that it shows that when we come together we can put together a stellar campaign. The entire workshop not only gave me hands-on experience of working in a team to prepare a plan, but it gave me the confidence that this career was something I can do. PR is working in a team, adding and tossing ideas, adapting and molding, and giving it your best shot. Standing in that room in front of my peers, teammates, and the GRC team was one of the most exhilarating and fulfilling parts of my school career thus far. The Global Results Communications team was phenomenal, and next time a workshop comes along, if you’re feeling a little hesitant and nervous, trust me, sign up. You’ll surprise yourself with what you’re capable of. Going to a professional conference, whether you’re a seasoned pro or a newbie, can be a bit nerve-wracking. Here are some quick tips and tricks to make sure you’re prepared! You’ll be meeting a lot of people this weekend, including leading industry professionals. To make the most of this opportunity, be able to pitch yourself in under a minute. You should be able to explain who you are, what you want to do, and what you’ve done. The whole point is to make someone interested, and ask more questions! The best way to craft the perfect elevator pitch? Practice, practice, and more practice. Last, but definitely not least, update your LinkedIn! If you don’t have one, stop what you are doing and make one now. If you’re successful networking, people will want to connect with you. LinkedIn is a valuable resource for any young professional. Make sure it is updated with all of your recent work, even if it’s just school related. Upload a resume, some work samples, anything that will showcase your skills. Make sure your picture is updated as well, and not a selfie! An updated LinkedIn may be your final key to networking success. With that settled, you’re ready for Next Generation PR. With these three tips, you’ll be sure to ask smart questions, network like a pro, and make lasting connections with other PRSSA students and industry professionals.